Virginia is divided into three growing zones: the mountain area, which encompasses the western to mid part of the state; the Piedmont, which extends from the middle to almost the eastern edge of the state; and the Tidewater coastal area, according to the Virginia Tech Cooperative Extension. In the mountain area, the last frost is between May 10 and May 15, and October 10 and 15 for the first frost; in the Piedmont, the last spring frost is between April 20 and 30 and the first frost is between October 19 and 29; and in the Tidewater, the last frost is between April 10 and April 21 and the first frost is between November 8 and 28. Start seeds for warm-weather vegetables indoors in mid to late February and March for transplant into the garden after the last frost. Examples include sweet peppers, watermelon, eggplant, leeks, celery and tomatoes. Plant cool-weather vegetables—such as broccoli, spinach, asparagus and cauliflower—in early spring as they do not do well in warmer temperatures, according to the “Encyclopedia of Gardening” from the American Horticultural Society. To successfully plant cool-weather vegetables in Virginia, sow earlier and later in the year, depending on the area of the state. Sow seeds or transplant hardy annuals, such as sweet peas, larkspur and pot marigolds, in late winter or early spring for bloom in late spring. Perennials can be sown in pots like annuals in the late winter or early spring. Before moving the seedlings to the garden, take them outside while it is still cool to harden them off, which minimizes transplant stress and eases the transition into the garden. After the last frost of the year, transplant any vegetables started from seed into the garden. 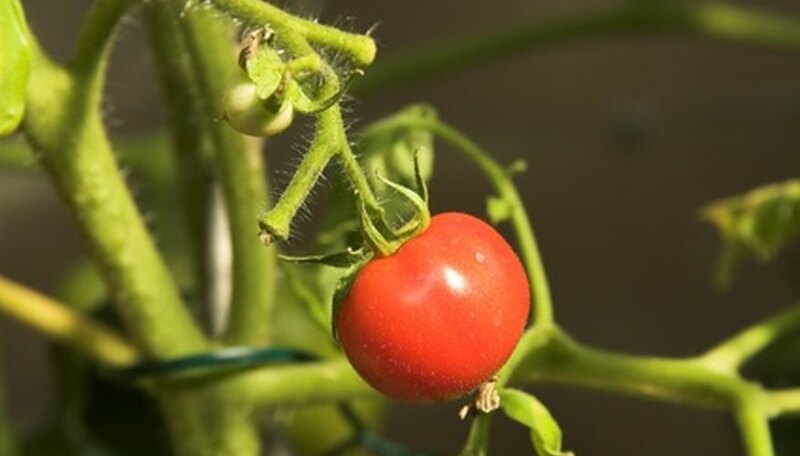 Plant tomatoes, sweet corn, okra, onion, scallions, beets as well as cucumbers and winter and summer squash directly into the garden. Plant or transplant warm-weather, or tender, annuals after the last frost, according to “Annuals” by Barbara Ellis. Those flowers thrive in the summer heat, and include cosmos, zinnias, petunias and nasturtium. Plant late-summer or fall-flowering perennials, such as aster, bellflower, chrysanthemum, and tickseed, in the spring. Transplant any perennial seedlings into the garden. For fall vegetable planting, determine the harvest times for each warm-weather crop and count backward from the average date of the first fall frost to determine when to plant. For example, lima beans are susceptible to frost and they mature 12 to 16 weeks after germination. Cool-season vegetables—such as turnips, kale, mustard and cabbage—can withstand the cool and can be planted later in the summer, depending on when you want to harvest them, according to “America's Garden Book” by Louise and James Bush-Brown. Plant spring-flowering perennials—such as iris, peony and bulbs such as daffodils and oxalis—in either the late summer or early fall so the roots have enough time to set before cold weather, according to “The Complete Guide to Gardening” by Better Homes and Gardens.